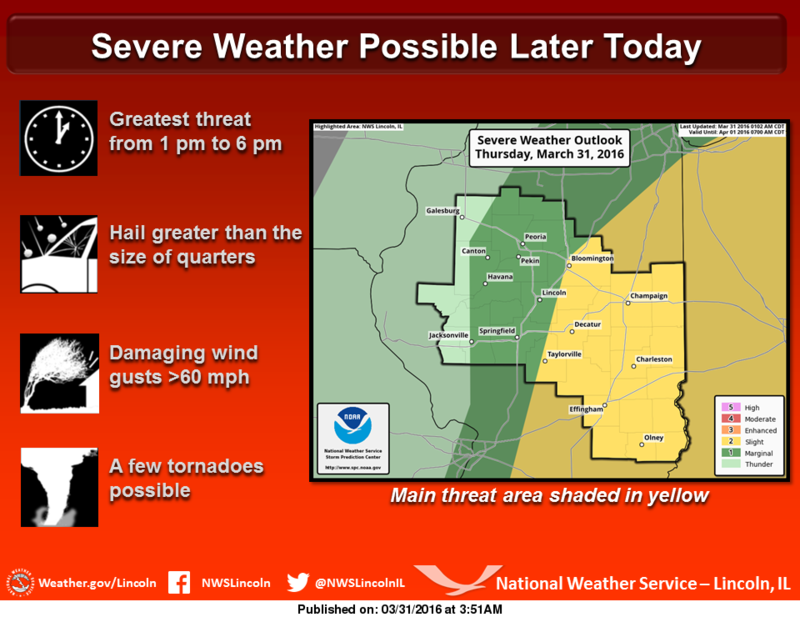 According to the National Weather Service in Lincoln, the Regional Radio Listening area is underneath a slight risk for severe weather today, as a strong storm system will impact central and southeastern Illinois. This system will be accompanied by gusty winds, along with scattered showers and storms. During the afternoon hours, some of the storms have the potential to be severe, especially in east-central and southeastern Illinois. Large hail, damaging wind gusts, and isolated tornadoes are all possible this afternoon and early evening hours. Stay tuned to Regional Radio News and taylorvilledailynews.com for more updates and information.